Kathleen Kennedy has a long history of accomplishment in the public arena, and for 12 years has worked in the private sector. She is a senior advisor at Rock Creek, a hedge fund of funds founded by Afsaneh Beschloss, the former treasurer of the World Bank. She also worked as a senior advisor for two years at Lehman Brothers where she focused on client development and diversity issues. As the State of Maryland’s first woman Lt. Governor, Ms. Townsend was in charge of a multimillion-dollar budget and had oversight of major cabinet departments, including Economic Development and Transportation, State Police, Public Safety and Correction and Juvenile Justice. Prior to being elected Lt. Governor, Ms. Townsend served as deputy assistant attorney general of the United States. In that role, she led the planning to put 100,000 police officers into the community and she ignited the Police Corps, a program to give college scholarships to young people who pledge to work as police officers for four years after graduating. Prior to serving at the Department of Justice, Mrs. Townsend spent seven years as the founder and director of the Maryland Student Service Alliance where she led the fight to make Maryland the first—and still only—state to make service a graduation requirement. She taught foreign policy at the University of Pennsylvania and the University of Maryland, Baltimore County and has been a visiting fellow at the Kennedy School of Government at Harvard and currently is an Adjunct Professor at Georgetown University. She has been appointed the Paul Nitze Senior Fellow at St. Mary’s College. In the mid-1980s, she founded the Robert F. Kennedy Human Rights Award. Ms. Kennedy is Chair of the Institute of Human Virology founded by Dr. Robert Gallo and serves on the board of directors of the John F. Kennedy Library Foundation, the Robert Kennedy Memorial, The Center for American Progress, the Brady Campaign, the Center for International Policy, and the YMCA of New York City. She is the vice-chair of the annual Future of Science conference held in Venice, Italy. Ms. Townsend is also a member of the Council on Foreign Relations and the Inter-American Dialogue and is a member of the Advisory Board of the Wiedenfeld Scholars at Oxford which has been compared to the Rhodes Scholars for the developing world. 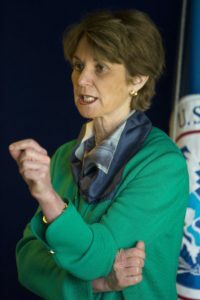 Previously, she served on the boards of the Export-Import Bank, Johns Hopkins School of Advanced International Studies, the Wilderness Society, the Points of Light Foundation, National Catholic Reporter and the Institute for Women’s Policy Research and was the Chair of the Board of the Robert F. Kennedy Memorial. An honors graduate of Harvard University, Ms. Kennedy received her law degree from the University of New Mexico where she was a member of the law review. She has received twelve honorary degrees. A member of the bar in Maryland, Connecticut and Massachusetts, she is also a certified broker-dealer. 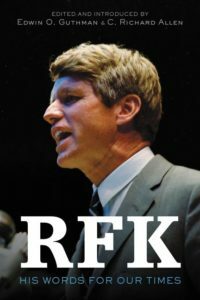 Ms. Kennedy’s book, “Failing America’s Faithful: How Today’s Churches Mixed God with Politics and Lost Their Way”, has been published by Warner Books in March 2007. She has also edited two books, Courage to Care and Strength to Serve, readings on service from the Great Books and with Dr. Umberto Veronesi, the world-renowned cancer surgeon, Appriamo le Porte alla Scienza. She speaks on topics ranging from Sarbanes-Oxley, Corporate Social Responsibility, Women: Taking Power Seriously, Volunteerism and Religion and Politics, and Human Rights throughout the United States and abroad. She has appeared on Meet the Press, the Colbert Report, Larry King and Greta Van Susteren. The eldest child of the late U.S. Senator and Attorney General, Robert F. Kennedy, and Ethel Kennedy, Ms. Kennedy lives in Maryland. 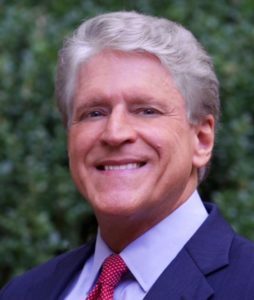 Rick Allen is a media and technology executive and has been a speechwriter, fundraiser, and state campaign manager for several presidential and Senate candidates. He also served as Deputy Assistant to President Clinton, helping to create AmeriCorps.